As we enter into the last quarter of the year not only are we proud of our accomplishments thus far, we look forward to what is in store for the remaining months of 2016. 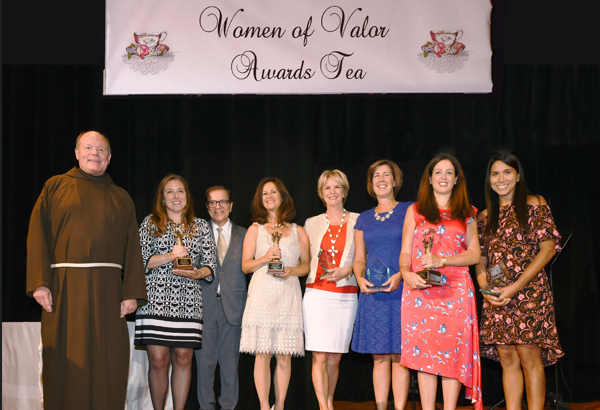 On Thursday, July 28, 2016 we held our Fourteenth Annual "Women of Valor" Awards Tea to benefit the St. Francis Food Pantries and Shelters network. Presented by Macy's, the event took place inside the Grand Ballroom of the Waldorf=Astoria New York and honored a distinguished group of women who display leadership in their industries and when it comes to supporting their communities. We regularly receive donations from Ross Stores Inc. that include everything from clothing, to appliances, to household items and more. This time, as the new school year approached, we were happy to receive donations to be distributed for the back to school season. Not only was Dylan Lauren the Macy's Community Star Award recipient at our Women of Valor Awards Tea in 2016, she visited one of the locations that we support to gain a first-hand experience of how a meal service goes. We are proud to work with the Grandparent's Advocacy Program (G.A.P.) and contribute funds to help them experience exciting outings. Most of them are on a fixed income, and legal guardians of their grandchildren, so this help means the world. Recently we were able to send them to The Great White Way to see the world-famous Rockettes perform. With the help of our amazing supporters, new and old, we know anything is possible and that we can continue to help people who truly need our assistance. Thank you all for your commitment to our mission.